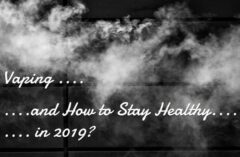 During the past 4 years of publishing Spinfuel eMagazine, we have been asked hundreds of times about where we stand as far as regulations on vaping as well as taxes and vaping. We are also asked what we are doing to help keep vaping free of governmental interference and excessive controls and limitations. I would like to spend the next few minutes outlining our official position on the freedom to vape, and more importantly, why we are not nearly as loud about it as many of our readers wish we would be. Oh sure, we’ve written some scathing pieces over the years on government and taxes and regulations on e-cigarettes, and if you read any of them you probably understand the need for this new print magazine Vaping Advocate. No one in their right mind would want Spinfuel as a vocal proponent for vaping. Our position is fairly simple; the right to use vaporizers of all kinds and eliquids in unlimited flavors is a fundamental right of every person in the United States. It has been scientifically established that vaping, i.e., using vaporizers and eliquid, is at least 95% safer than smoking tobacco products like cigarettes. It has also been scientifically established that smoking cigarettes will kill you, shorten your lifespan, and/or cause various illnesses that will make a smoker wish they dead long before they are dead. 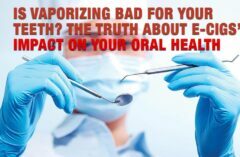 Smoking is bad…vaping is good… and they are very, very different. Honestly, we couldn’t say it better than Frank just did. By the way, Frank Blankenship and Lucky Ruckus are huge advocates in our industry and spend time and money advocating for the freedom to vape. Vaping is not smoking. Vape products are not tobacco products…period. Vaping products should never be taxed higher than any other non-tobacco, non-alcohol product. Like Milk and Maple Syrup, eLiquid should be regulated as to its safety for the consumer, in cleanliness of the facility, purity of the ingredients, and safe packaging practices. In addition, just as any dairy farm or syrup factory, an eliquid manufacturer should be visited by health inspectors in the same frequency as dairies and syrup factories. No more, and no less. There should be a minimum ‘quality’ of ingredients established that ensures the safety of the consumer. All electronic mods should be constructed under the same guidelines of every other electric or battery powered product made or sold in the US. Any ‘flavor’ of eliquid has the right to be made and sold. If the government doesn’t stop Baskin Robbins from inventing new flavors of ice cream, they should not stop companies like Lucky Ruckus from doing the same. Eliquid bottles should carry a warning as to the ingredients and safety of oral consumption. Like hundreds of other products, if used wrong, eliquid can harm individuals. Eliquid containing Nicotine should not be sold to anyone under the age of 18. Eliquid without Nicotine should be available to anyone who wants it. selling vape gear that is not approved under the requirements for battery powered devices. advertising ‘free e-cigarette’ starter kits that are not free. Selling ‘e-cigarette scams’ should be a felony. Lastly, the local, state, and federal governments should minimize their intrusion into the lives of its citizens. So, Why Do We Not Advocate Our Position More? There is a very good reason why Spinfuel and its employees do not advocate publicly as much as we should. We sincerely believe that other, more qualified in diplomacy individuals in our community are better at it. Our collective beliefs are passionate beliefs. But these passionate beliefs extend much further than the vaping industry, and that is center to the problem of why Spinfuel advocating for anything isn’t a good idea. We believe in small government, minimum taxes, freedom to do anything we desire as long as it does not harm others. We believe that we, as a species, are responsible for ourselves. We have ‘issues’ with authority, and should any of us stand before any committee that is attempting to limit our freedoms in any way, things would not go well. We cannot reason or calmly discuss any issue with any person or persons in “authority” as it pertains to our right to do or not do something we wish to do. In effect, if the words “held in contempt” are words that can be used in any meeting, committee, or panel, that we would attend, those words would be spoken to us more often than not. In order to advocate effectively you need the power of diplomacy, not the power to scream in people’s faces. In order to comply, or even negotiate with authority you need to respect that authority. We, all of us here, have witnessed such flagrant corruption in all levels of government that ‘respect for authority‘ is impossible. It is best to have other, more even tempered people representing the vaping industry than anyone at Spinfuel. Thankfully better heads prevail. The first print magazine dedicated to vaping advocacy has hit the newsstands. You can view the first issue here. Inside the magazine are several articles on advocacy and how best to make sure our industry remains open and free, with a minimum of regulation and taxation. There are plenty of vaping “leaders” taking part in the magazine, offering original content, interviews, and advocacy techniques. We highly recommend it. Launching a successful print magazine is near impossible, especially these last 10 years, so we know the road ahead will not be easy. If the Vaping Advocacy is to succeed they will need many, many subscribers and lots and lots of publicity. Because Spinfuel does so little for vaping advocacy (in order not to harm said advocacy) we will do as much as we can to support the Vaping Advocate magazine. When you come down to it, these are the people you want advocating on our behalf…not the angry Libertarians that run Spinfuel. So, pop over to read the first issue. Buy a subscription, tweet about it, post to your Facebook page, your Google Plus page, bring it up on reddit, mention it on your Tumblr page, do whatever you can to tell every Vaper you know that there is a print magazine that is all about vaping advocacy. Maybe the magazine will get the job done. We hope so. But just in case, keep your protest signs dry and your marching boots clean.